22 March 2018: The Solidarity Group for Bangladesh today decries the mass arrests of opposition supporters that have taken place in Bangladesh over the past two months, and calls on the government to release all those who have been detained and to undertake urgent measures to ensure the respect for fundamental human rights. Starting on 30 January 2018, authorities began arresting supporters of the opposition Bangladesh Nationalist Party (BNP), ahead of the verdict in the alleged corruption case against BNP leader Khaleda Begum Zia, which was delivered on 8 February. Over the course of a month, almost 5,000 opposition supporters, including ordinary people who were suspected of being opposition sympathizers, were arrested throughout almost all of the country’s districts. Most of them remain detained in prisons throughout Bangladesh. This large-scale crackdown on opposition parties, government critics, and activists is one of the most severe attacks on fundamental freedoms in Bangladesh over the past few years. While authorities claim the arrests were carried out to prevent violence from erupting in connection with the verdict, it is apparent that these actions were politically motivated. In addition, there have been numerous reports of torture and ill-treatment of those detained. In the most serious incident, on 12 March 2018, Zakir Hossain Milon, the Vice-President of the Dhaka North Unit of the BNP’s student wing Jatiotabadi Chhatra Dal, died while in police custody. He had been arrested on 6 March upon returning from a BNP event at the Jatiya Press Club in Dhaka. Zakir’s family members claim that he died as a result of torture. Between January 2009 and February 2018, 120 people have died as a result of systematic custodial torture in Bangladesh, and dozens have become permanently disabled as a result of kneecappings while in police custody. Over the same period, law enforcement agencies have allegedly been involved in 422 cases of enforced disappearances and 1,480 cases of extra-judicial killings. The Solidarity Group for Bangladesh calls on the Bangladeshi government to uphold its obligations under the Convention against Torture and Other Cruel, Inhuman or Degrading Treatment or Punishment, fully investigate the death in custody of Zakir Hossain Milon, and all other allegations of torture or ill-treatment in detention, and take appropriate measures to ensure it does not occur in the future. Meanwhile, the government has continued to take worrying steps to further restrict the right to freedom of opinion and expression through the introduction of new repressive legislation. The 2018 Digital Security Bill, which was approved by the Cabinet on 29 January 2018 and is likely to be approved by Parliament in the coming months, is inconsistent with the Constitution and the country’s obligations under international law. The proposed legislation contains overly broad grounds for restrictions on freedom of speech and prescribes lengthy prison sentences for violators. In October 2017, the Solidarity Group for Bangladesh made a joint submission to the United Nations (UN) Human Rights Council ahead of Bangladesh’s third Universal Periodic Review (UPR), which will take place on 14 May 2018. The joint submission, which covered the period from 1 May 2013 to 30 September 2017, highlighted increased restrictions on civic space, the continued use of torture, and violations of the right to freedom of opinion and expression. In addition, it underscored Bangladesh’s failure to implement many of the 171 recommendations it accepted during its second UPR in April 2013. The joint submission also made recommendations for the Bangladeshi government to hold free and fair elections, criminalize enforced disappearances, and ensure the independence of criminal justice institutions. With a general election scheduled to be held at the end of 2018, the Solidarity Group for Bangladesh calls on the international community to press the Bangladeshi government to address serious and ongoing human rights abuses, including those detailed in the Joint Submission. UN member states should reiterate their human rights concerns during the upcoming UPR and make recommendations to Bangladesh that address the most recent developments. The Solidarity Group for Bangladesh is a group of civil society organizations established in March 2017 to advocate for the respect for human rights in Bangladesh. 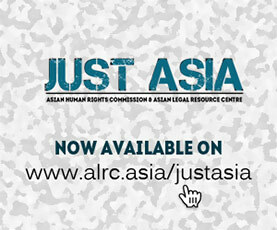 The group comprises the following organizations: the Asian Federation Against Involuntary Disappearances (AFAD); the Asian Forum for Human Rights and Development (FORUM-ASIA), the Asian Legal Resource Centre (ALRC); CIVICUS Global Alliance; the International Federation for Human Rights (FIDH); Odhikar; the Robert F. Kennedy Human Rights; and the World Organization Against Torture (OMCT). The Asian Network for Free Elections (ANFREL) joined the Solidarity Group for Bangladesh in 2018.